Anand ( ) is the administrative centre of Anand District in the state of Gujarat, India. It is administered by Anand Municipality. It is part of the region known as Charotar, consisting of Anand and Kheda Districts. Anand is known as the Milk Capital of India. It became famous for Amul dairy and its milk revolution. This city hosts the Head Office of Gujarat Cooperative Milk Marketing Federation Ltd (AMUL), National Dairy Development Board of India, well known business school-IRMA and the Anand Agricultural University. Also other famous educational hub is Vallabh Vidhyanagar, an educational suburb of Anand which is home for around 10,000 students from all over the India. Anand is located at 22.57°N 72.93°E﻿ / 22.57; 72.93. It has an average elevation of 39 metres (127 feet). The city has an area of 22.7 square kilometres, and the urban area of Anand City is 172 square kilometres including 25 villages around the city. As of 2001 India census, Anand had a population of 300,462. Males constitute 52% of the population and females 48%. Anand has an average literacy rate of 78%, higher than the national average of 59.5% (55% of the males and 45% of females literate). 11% of the population is under 6 years of age. Average literacy rate of Anand in 2011 were 84.37 compared to 74.51 of 2001. If things are looked out at gender wise, male and female literacy were 91.82 and 76.36 respectively. For 2001 census, same figures stood at 86.09 and 61.94 in Anand District. Economy of the Anand is very vibrant which ranges from farming to big scale industries. Major crops includes Tobacco and Banana. Anand is home to the famous AMUL Dairy. Vitthal Udhyog Nagar, very big industrial belt is located on the outskirts of the city. Many famous industries including Elecon Engineering, Vulcan Industrial Engineering Co. Ltd, Warm Steam, The Charotar Iron Factory(est.1938), Milcent and Atlanta Electrics are situated in this industrial belt. 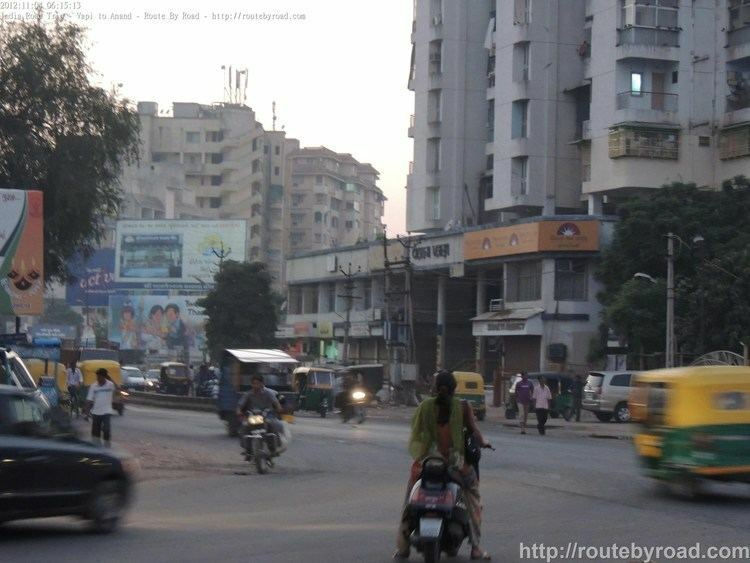 Almost every other house in Anand has a person residing abroad.